It comes as no surprise to Texas dwellers, that June is when things start heating up around here. 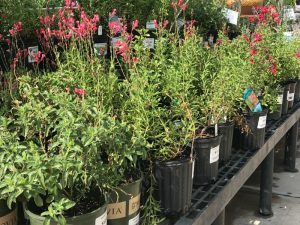 Are you searching for a beautiful and durable plant that will sustain the Texas sun, and help you keep your landscape looking beautiful year round? We have the solution. This week’s plant of the week is Salvia. There are many different species of Salvia, 900 to be exact, and they flower in multiple colors; red, white, pink, violet, and blue. Salvia is native to Central and South America, Central Asia, and the Mediterranean. These regions experience hot dry summers and cool wet winters, similar to Texas. Their native climate allows them to flourish in our area. Most Salvia plants require 6 hours of direct sunlight. However, their are some species of Salvia that prefer a partly shaded area. Be sure to ask a staff member how much sun your Salvia plant prefers before you checkout. Planting should be done after the threat of frost and cold weather disappears, (usually the late spring or early summer.) You can expect your Salvia plant to stay in bloom through the fall, and then it will become dormant during winter. The end of February is the most ideal time to prune your Salvia plant to get it ready for the upcoming spring buds and summer/fall blossoms. The watering pattern for most Salvia is light. Since they come from hot dry regions, they don’t need more than 1/2 an inch of water per watering period, and they prefer to dry out before they are watered again. We love a beautiful, hardy, drought-resistant perennial- and thats why we chose to make Salvia our plant of the week. 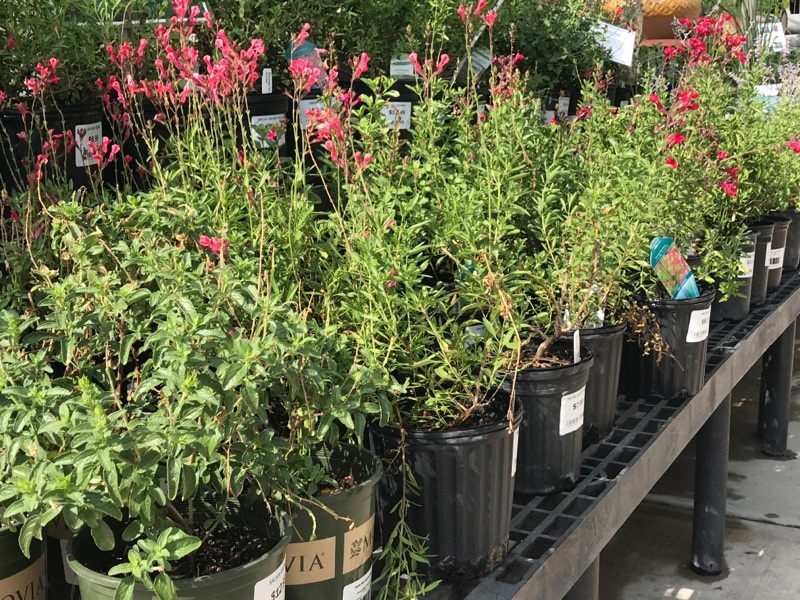 If you’re thinking about taking home a Salvia plant, be sure to stop by Round Rock Garden Center, we have a variety of Salvia to choose from and we’ll be happy to answer any questions you may have.